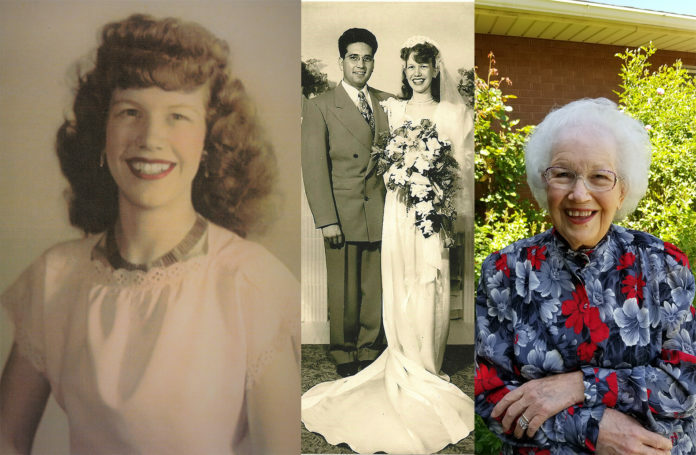 Life-long Lehi resident, Elaine (Norman) Schow will celebrate her 90th Birthday on Saturday, June 2, 2018. Elaine was born to Delbert G. and Claire L. Norman and was raised on their family farm in west Lehi, bordering the Jordan River. Elaine has an older sister, Edna, and a younger brother, Delbert. She loved the time, work, fun, and memories on their farm, particularly riding her horse as fast as possible across the alkali flat. Elaine graduated from Lehi High School in 1946, and immediately began working for Dr. Elmo Eddington. She worked with him for several years, leading her to meet her future husband at the Lehi Hospital. Elaine married Alvin G. Schow on June 14, 1950 in the Salt Lake Temple. They have lived in Lehi ever since, are the parents of five children, and have 25 grandchildren and 58 great-grandchildren. Elaine has always been active in community, cultural, and church events, helping with many floats for the annual Lehi Miniature Parade (including curling crepe paper), singing and performing in local productions (the lead in “Thoroughly Modern Millie”), and performing with the Hi-Lo’s, a local women’s vocal group, for several years. Elaine loves gardening, photography, sewing, and crocheting. 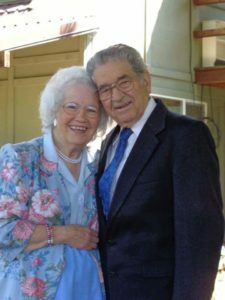 She has devoted countless hours caring for her children and grandchildren and has been the greatest support to her husband as he served as Bishop and Stake President, with the American Legion, Boy Scouts of America, and the Hutchings Museum. She has also served in the LDS Church in many leadership positions including a full-time mission in the Provo, Utah Mission Office, and has served as a temple worker at the Mt. Timpanogos Temple for 18 years. Elaine will be celebrating this occasion with family and friends on June 2, with an open house from 2-4 p.m.at the LDS Church on 300 N 500 E in Lehi.